Animal Rehabilitation has been in need of a new approach. I have been a part of this animal community for over 17 years now. I am very frustrated that Animal Rehabilitation is unavailable for those who need it most; do to the financial constraints. We, as pets owners, know going into an animal commitment that we will be faced in making a difficult decision at a future time. Unfortunately for many that future date comes sooner than we'd like, and commonly when it does,we want to provide all we can to enhance the quality of life for our beloved companions. As Animal Rehabilitation services have been established throughout the world there are still not enough in each local area. The Veterinarians are aware of the centers that are reachable within their community. Unfortunately, the drive alone for their clients/patients may be 1-3 hours and "Time" (Reality of Life) makes this difficult; let alone the expense that follows. Thankfully some Veterinarians have incorporated rehabilitation services into their practice, yet for many veterinarians, time and space limits their ability. A vicious cycle, Attending many veterinary seminars throughout the years, I see that the Veterinarians are supportive of the idea and will offer referrals into their local Rehabilitation Centers, however for many these options are still out of reach! and www.dogtread.com in creating "Home Exercise Programs" for your canines! 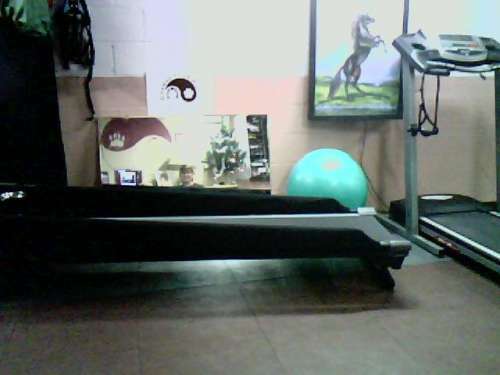 has a fabulous land-based canine treadmill that has low-level speed. It's safe, affordable, and easy-to-use! Whether your canine is just maintaining his/her Fitness Level or is in need of a more extensive therapeutic approach,this option is optimal. Why a Canine Treadmill? The use of a treadmill is optimal to maximize gait strengthening and re-training; ensuring the quality performance gait you are looking for and quality muscle conditioning for proper joint and body support. The constant set speed allows for broader conditioning options unlike "a walk" where the speed variable can be contradicting in gait strengthening and gait rehabilitation. These custom fit carts are designed individually to meet your pet's disability. Eddie's Wheels have carts that are adaptable for all recovery situations short/long term. Keeping the animal in their normal/proper posture is best; doing so hastens their recovery. In consulting with them they will help to determine if a wheel chair is the right option for your pet and if so, they will discuss the best starting point: whether it be Rear-wheeler (Hind Support); Adding front Support Wheels for better stability; Front-wheeler (Front Support); or a Quad-Cart (4-limb weakness/disuse). There are many conditions that these wheelchairs will accommodate allowing your pet maximum mobility, especially with degenerative diseases like canine Degenerative Myelopathy (DM) or Inter Vertebral Disc Disease (IVDD). These wheel chairs should not be considered a last option as many conditions can be improved while your pet maintains his/her normal posture. 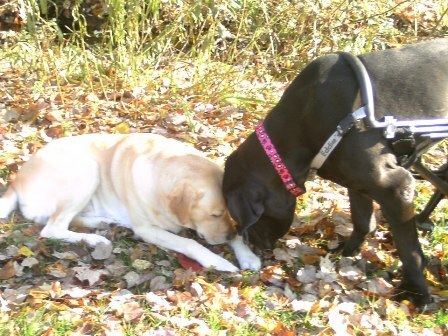 Use your Eddies Wheels on the Dog Tread for endurance and gait retraining options. Eddies wheels also offers an Adjustable Therapy Stand as a part of their Hospital Equipment Line. The Therapy Stand is very helpful with involved rehabilitation cases where the dogs have a difficult time standing without support. Many are finding this effective in Veterinary Exams, Veterinary Acupuncture Sessions, and Rehabilitation, fits best over the Dog Tread Canine Treadmill for additional therapeutic gait strengthening options. The stand can adjust from small to large breeds; It's very versatile, light weight and easy to use! Sessions Include: Gait Assessment, Treadmill Training, Gait Strengthening and Neurologic Repatterning, Low Level Laser Therapy, Magnetic Blanket Therapy, and more. We communicate directly with your Veterinarian to create a plan that best addresses your pet's needs. Change your Range offers Home Visits; Provides Sessions at Eddies Wheels in Shelburne Falls, MA; Sessions at our Office in Easthampton, MA. Virtual Phone/Video Web Consults are also available reaching Coast-to-Coast; guiding pet owners to successfully create a safe and affordable home option to enhance their pet's recovery and quality of life! Live Webinar Presentations & Demonstrations available for canine groups/organizations looking for an affordable option to share with their group. Let's make a difference! Since we connect with people all over the world, If you would like to be on our email list please email me at info@changeyourrange.com. Provide us with your information: If you are a Pet Owner or Service Provider tell us a little about yourself and where you live.